Incentives are needed precisely when one is being asked to do something more onerous, or more time consuming, or more intense. But you don’t need an incentive to work shorter hours, at lower intensity, or under less onerous conditions. Parecon advocates for self-management by workers’ and consumers’ councils as society’s primary venues of economic decision making. relations, and familiarity with making choices. The other 20 percent of the workforce performs jobs whose tasks typically enhance ties to others, increase social skills, provide access to decision contexts, enlarge confidence and knowledge of workplace relations, and, in general, empower people to participate in and impact decisions. In addition to self-managing councils and equitable remuneration, we need a new division of labor called “balanced job complexes” if we are to have real self-management and real classlessness. Parecon’s alternative to market-based resource allocation is called participatory planning, which is built on the idea of viable, collective self-regulation. Fighting for higher wages, a higher minimum wage, or for other gains in existing institutions in the direction of more equitable remuneration, but doing so in a manner that raises consciousness of ultimate goals in that area. For parecon, this means doing so in a manner that raises awareness of and desires for remuneration for duration, intensity, and onerousness of socially valuable labor. Fighting for workers to have greater say over circumstances individually on the job or via their organizations concerning issues such as workplace relations, policy, or larger scale matters of allocation (say, such as participatory budgeting)—but done in a way that raises consciousness of ultimate goals in that area. For parecon, that means doing so in a manner that raises awareness of and desires for collective self-management. Even setting up, in some area, a bunch of innovative workplaces with self-management, etc. ; establishing some nearby consumers’ councils or communes; and, finally, beginning to cooperatively negotiate their mutual relations via a kind of fledgling participatory planning. Transition is a muddy concept. What has to be achieved before we say we have fully transitioned to a new system? Is it only that some institutions are in place, or even just partially in place, in some parts of a country? Is it that all key institutions are fully in place throughout a country? Or does it require that everyone is functioning well in the newly established institutions—or even that everyone is not only functioning well but has left behind all attitudes and habits from the past system? I believe participatory economics is immediately relevant and could—and for some people does—right now impact choices. There is no reason to refer to an economic surplus, either, though I suppose one c ould be defined. The point is, there is a social product—the total output of the economy—and people have claims on it via their income, which is in turn proportional to the duration, intensity, and onerousness of the socially valued labor they do. In capitalism, a very large part of the economic product goes to people called owners as profits. Some of it also goes to broad production projects affecting nearly everyone—but those who are stronger benefit more. The rest of the product, after profit, large scale investment, and public goods are accounted, goes to all others, but overwhelmingly in proportion to their bargaining power, which is in turn affected by many factors such as unionization, monopolies on skills and information, racism, and sexism, etc. We want an economy which determines things like scale, mutual connections of dependence and independence, content, and level of trade or self-reliance, etc., all in accord with people’s self-managing wishes. It is hard to imagine any reason why there would be, in a well-established participatory economy, some firms that were privately owned or state owned, etc. All public goods that society decides to provide to the whole population, for example medicine or education, simply reduce the amount of specific stuff that each actor has available for personal consumption. Put differently, if a society that was aggressively and pervasively racist, say, was transforming toward a parecon, the changes would create economic structures that were out of alignment with continued cultural and other relations that were still pervaded by racism. There would be a tension, in that case. One or the other would have to change, most likely. The racist pressures would change the economy, or vice versa—equitable relations in the economy would change cultural institutions. But, that dynamic relation which could go either way aside, I don’t know any advocates of participatory economics who wouldn’t also want to see what we might call intercommunalism, or participatory culture: new racial, ethnic, and religious relations that were free of injustice. If consumerism means becoming so enmeshed in consuming that one does it simply to do it, that won’t exist. Why would it? Participatory economics addresses the environment because the impact of our activities on the environment must of course inform what we do and how we do it. Does your work explore the links between large-scale environmental challenges (like climate change) and other economic and political issues? The amount of decentralization depends on what best meets needs and develops potentials, not on some a priori belief that small is always good, or for that matter, that small is always bad. Typical socialist models that preserve markets and/or central planning diverge from participatory economics in such a pivotal way that, while one can learn from them, of course, I can’t say I feel close to them. 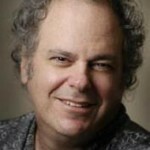 Michael Albert is a sixties activist and founder of South End Press, Z Magazine, and ZNet/ZCommunications, among other projects (such as the online school World Institute for Social Change, or WISC, and activist organization, International Organization for a Participatory Society, or IOPS). Albert is also author of over twenty books and hundreds of articles, and has spoken in countries around the world. He is co-author, and advocate, with Robin Hahnel, of the economic vision Participatory Economics, and the social vision, Participatory Society. In addition to books on economic and social vision and strategy, he has written a memoir called Remembering Tomorrow.